Dr. Adam Gazzaley obtained an M.D. and a Ph.D. in Neuroscience at the Mount Sinai School of Medicine in New York, completed Neurology residency at the University of Pennsylvania, and postdoctoral training in cognitive neuroscience at University of California, Berkeley. He is now Professor in Neurology, Physiology and Psychiatry at University of California, San Francisco and the Founder / Executive Director of Neuroscape, a translational neuroscience center engaged in technology creation and scientific research. He designs and develops novel brain assessment and optimization tools to impact education, wellness, and medicine practices. This novel approach involves the development of custom-designed, closed-loop video games integrated with the latest advancements in software (brain computer interfaces, GPU computing, cloud-based analytics) and hardware (virtual/augmented reality, motion capture, mobile physiological recording devices, transcranial electrical brain stimulation). These technologies are then advanced to rigorous research studies that evaluate their impact on multiple aspects of brain function and physiology. This utilizes a powerful combination of neurophysiological tools, including functional magnetic resonance imaging (fMRI), electroencephalography (EEG), transcranial magnetic stimulation (TMS). 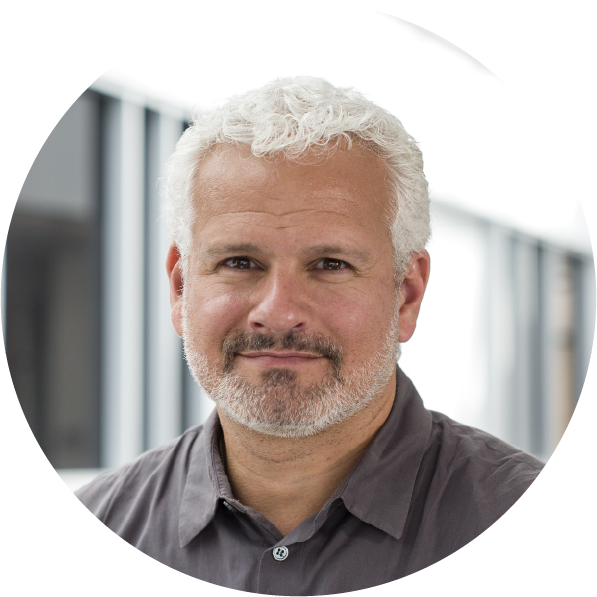 Dr. Gazzaley is also co-founder and Chief Science Advisor of Akili Interactive Labs, a company developing therapeutic video games, and co-founder and Chief Scientist of JAZZ Venture Partners, a venture capital firm investing in experiential technology to improve human performance. Additionally, he has been a scientific advisor for over a dozen companies including Apple, GE, Nielsen, Deloitte, Magic Leap, and the VOID, as well as the President's Council on Fitness, Sports & Nutrition. Dr. Gazzaley has filed multiple patents for his inventions, authored over 130 scientific articles, and delivered over 600 invited presentations around the world. His research and perspectives have been consistently profiled in high-impact media, such as The New York Times, New York Times Magazine, New Yorker, Wall Street Journal, TIME, Discover, Wired, PBS, NPR, CNN and NBC Nightly News. He wrote and hosted the nationally-televised PBS special “The Distracted Mind with Dr. Adam Gazzaley”, and co-authored with Dr. Larry Rosen the MIT Press book: “The Distracted Mind: Ancient Brains in a High-Tech World”, winner of the 2017 PROSE Award in the category of Biomedicine and Neuroscience. Dr. Gazzaley has received many awards and honors, including the Society for Neuroscience – Science Educator Award.